Combines the exfoliating properties of tomato AHA, with the soothing ones of Liquorice, to enhance a softer complexion with increased tone. 50 ml. Delicately refines and smoothes the skin texture. Provides the skin with new luminosity. Boosts the penetration and action of the skin care products to come. Main ingredients: Tomato AHA, Aloe Vera, Dragosantol, Licorique, Mentha. Apply on face and neck avoiding the eye and lip contour. Allow 10 minutes and remove with the lotion. 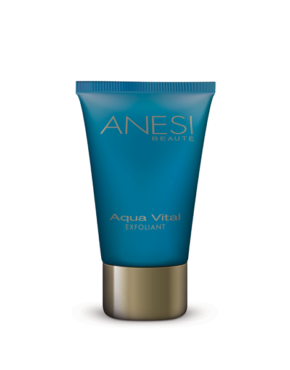 Product ID: 156 Categories: Anesi, For the Face, Sensitive Skin. Softly removes dead cells without damaging the skin to discover a new epidermis. Strengthens skin care product penetration. Formula rich in elements of vitamins, botanical fatty acids, moisturizing and emollient agents essential for the beauty and vitality of the skin. Visible results of softer skin, glowing complexion, regenerated and firm. Suitable for lips and eye contour.